One of the best things about the holiday season is the emphasis on spending time with friends and family. While many of these gatherings include swapping gifts, the real treasure is simply being with the people who mean the most in our lives. Conversations during these get-togethers often turn to health -- from updates on who is dealing with what to the perpetual wish for good health. This holiday season, perhaps you'll consider trying something slightly different. Something that could bridge the gap between hoping for a healthy year and making it happen. 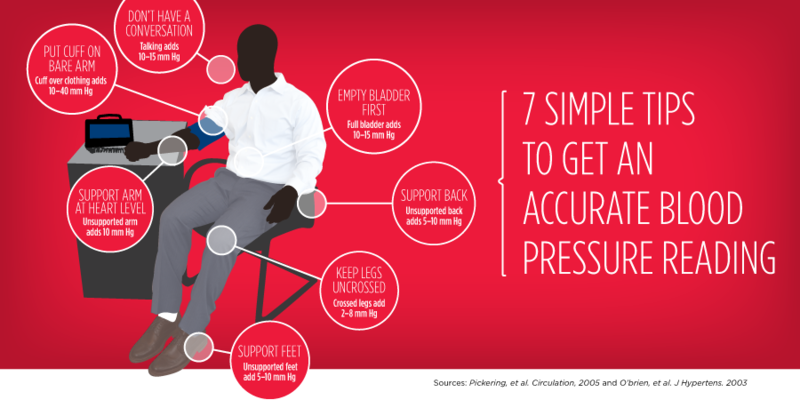 It starts with the simple step of checking your blood pressure. (Perhaps you have a machine and can do it at home; if not, you can likely get it done for free at a pharmacy.) Hopefully you'll find that your BP is under control. If not, consult a healthcare provider to set a plan for getting it under control. Now let's get back to those parties. I encourage you to make your BP findings part of the conversation. I realize it might seem a little out of place to bring this up during a festive event ... but, on the other hand, a roomful of loved ones could be the perfect place to discuss something as important as your health and what you're doing about it. Your loved ones can either celebrate with you or provide encouragement to get your numbers under control. Most of all, letting them know you've taken this step can inspire them to do the same. You also can educate them on how easy it is to check their BP -- and how dangerous it can be if it's not controlled. 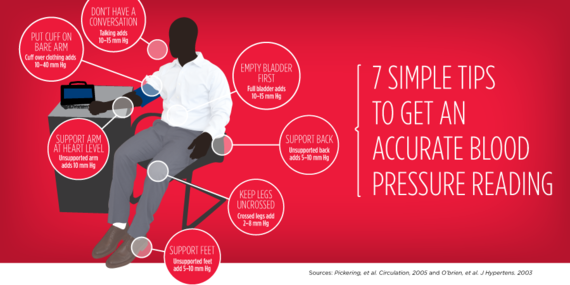 A great resource for all the information you need about blood pressure is Target: BP, a new initiative launched by my organization, the American Heart Association, and the American Medical Association. 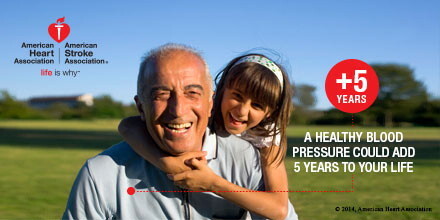 Both organizations are devoted to controlling blood pressure because of the devastating toll it plays in our society. For more on this, and what's being done to try reversing the trend, it's my pleasure to turn this spot over to my colleague Dr. James Madara, the CEO of the American Medical Association. It impacts one out of every three American adults and is known as the "silent killer." Hypertension (high blood pressure) usually strikes without warning, which is why it remains one of the leading causes of death and disability in every country in the world -- killing more people than tobacco use. Here in the United States, only about half of the people currently living with high blood pressure actually have it under control, an alarming fact given that early intervention can make a significant impact and help to save thousands of lives. For more than 50 years, research has shown us that lowering high blood pressure also lowers a patient's risk of heart attack, stroke and premature death. Studies have also demonstrated that healthy behaviors such as a low salt diet, regular physical activity, controlling weight and not smoking can all help lower blood pressure. And today there are more medications available than ever before to effectively treat hypertension, yet the struggle continues to control the disease. So, why is hypertension so easy to diagnose and treat but so difficult to control? One contributing factor is a lack of focus on prevention. While adopting healthy behaviors can help some patients prevent high blood pressure, it can be challenging to motivate people to change and sustain their behavior, especially when they aren't experiencing any symptoms. Another factor is the hesitation that some clinicians may have to diagnose and initiate or escalate treatment when a patient has elevated blood pressure during an office visit. Especially, if there is a consideration that the patient's elevated blood pressure may be associated with the anxiety of being in a clinical setting or other environmental contributors. As part of the American Medical Association's ongoing work to help reduce the incidence of cardiovascular disease in America, our experience has shown that oftentimes office blood pressure readings are in fact not measured properly. They also don't always provide enough information for clinicians to make a fully informed hypertension diagnosis. This can create an unintended negative snowball effect. For example, if the clinician doesn't feel fully informed to make an accurate diagnosis they typically ask patients to come back for repeat testing, which can further delay necessary treatment or prevent it altogether if the patient doesn't return for testing. This begs the question whether in today's 21st-century technology-driven society, could technology, in fact, hold the key to finally addressing this problem? We know that the use of technology can enhance the way information is exchanged. It is already empowering patients and clinicians to take preventive action to help improve blood pressure control. Specifically, technology helps us create registries that house patient data associated with chronic conditions, such as elevated blood pressure, to identify and target gaps in care to help improve health outcomes. What's great about registries is that doctors can get lists of all of their patients who have high blood pressure. Then, members of the care team can contact patients by phone or via electronic message to notify them that they should come into the office. Patients can also send back their new self-measured blood pressures from home. 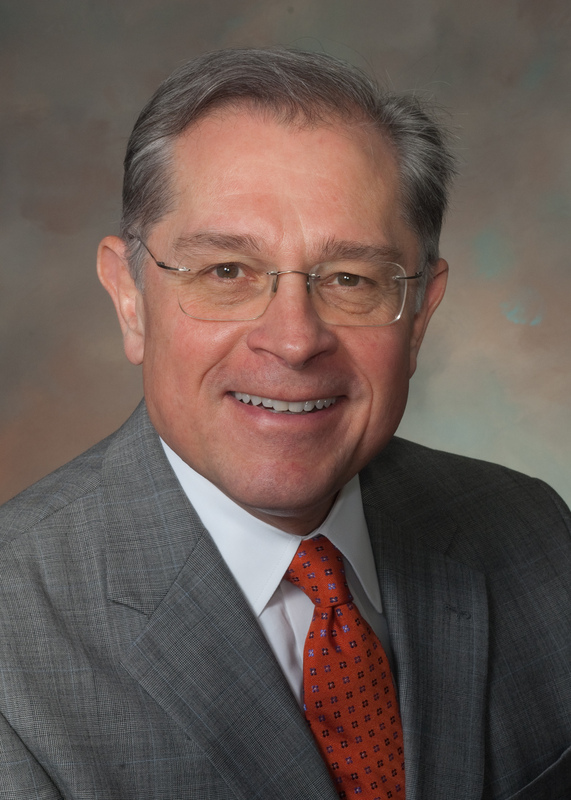 Having the ability to identify all patients in a practice or population who have elevated blood pressures has been a game-changer. Technology can also play an important role in helping patients monitor and control their own high blood pressure. For instance, mobile devices can alert patients when they need to self-measure their blood pressure, take their medication and provide electronic "nudges" to encourage them to make small behavior changes, including being more physically active. The sum of these changes, when sustained, can have a significant impact on lowering blood pressure. However, technology alone will likely not be enough to solve the entire problem of uncontrolled hypertension. Instead, it is important that we raise awareness of the social and economic factors that continue to create a divide in the quality of the nation's health care. It is time to provide solutions for all Americans, regardless of where they live, or whether they have a smartphone, tablet, or computer. In addition to utilizing technology, it is also vitally important that everyone who provides health care for a patient with hypertension works together as a team to foster better communication and shared clinical decision-making. In particular, it has been shown that when each member of a care team follows the same treatment protocols, it is easier for clinicians to know how, when and what medications to use to treat patients most effectively. Additionally, team-based care can help extend the "clinical reach" to the community and back. Pharmacists and trained community health workers from community centers, fire stations, libraries and pharmacies are all valuable members of the care team that can help obtain a patient's accurate blood pressure reading and have a role in making sure it gets reported back to the patient's clinician. Working together to make these community-to-clinic linkages is the key to successfully managing patients with hypertension and empowering them to self-manage their condition. Thus, while technology can certainly help patients and clinicians manage hypertension, it will take a multi-pronged approach to improve blood pressure control nationwide. The AMA has been working hard to tackle these issues over the last two years to help more patients control their high blood pressure and prevent them from developing cardiovascular disease. Some of this work includes developing tools with Johns Hopkins Medicine to help improve blood pressure control. Our "M.A.P." tools are being used by physicians and care teams across the country to Measure blood pressure accurately, Act rapidly to treat uncontrolled hypertension and Partner with patients, families and communities to control hypertension. Most recently, we began working with the American Heart Association to raise awareness about the growing burden of high blood pressure in our country. Together, we launched Target: BP to support physicians and care teams in helping their patients with high blood pressure reach a blood pressure goal of lower than 140/90 mm Hg, based on current AHA guidelines. We will continue to foster these partnerships and work collectively to raise the bar for improving the quality of care for millions of patients with hypertension, and, in turn, create a healthier nation for all.